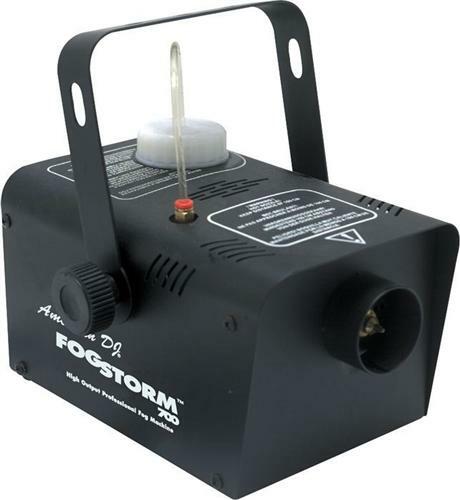 The American DJ Fog Storm 700 is an economical 700W high-output fog machine that puts out 3,500 cubic feet of fog per minute. 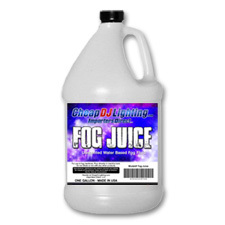 The Fog Storm 700 features a wired remote, external fog control switch, and one-liter fluid tank. Warms up in 8 minutes. Hanging bracket. 6"W x 5-1/4"H x 9-1/2"D. The Fog Storm 700 weighs 8 lbs.